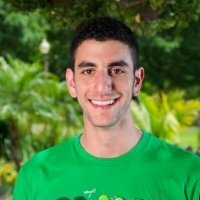 Ramy Badie is the Founder of Teeturtle, a company that was founded to scratch your insatiable itch for cute, funny, popculture-y shirts. Two years later, our shirts are still our pride and joy but now you’ll find hoodies, v-necks, art prints and more at our online store. Because we lovingly screen print each killer design onto the softest shirts on the planet, we know you’ll fall in love as soon as you slip into one of our ultra comfy tees.